NASA has discovered water on the red planet. But what does this mean for us on planet blue? After years of searching space for signs of other lifeforms, on September 28, 2015, geeks gushed as NASA confirmed finding evidence of liquid water on Mars. 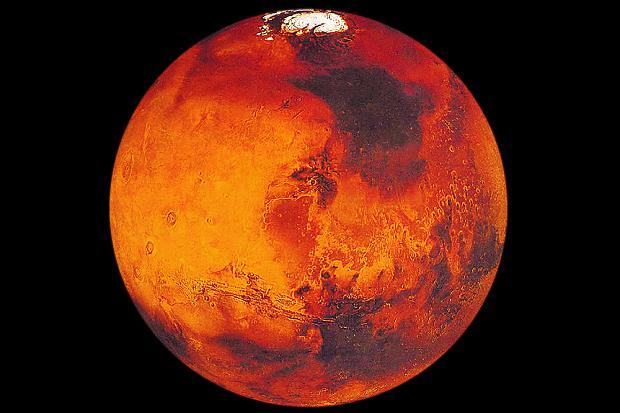 In 2010, Lujendra Ojha, a then undergraduate student in the University of Arizona, noticed dark streaks on the Martian surface, an enigma that now evidences flowing water, according to nasa.gov. The streaks flow downward and change in size, growing larger during the summer months. They were proved to contain water by the Mars Reconnaissance Orbiter, a satellite orbiting the Red Planet. The satellite contains a spectrometer, an instrument which scans the planet’s surface and identifies the chemical makeup of what it sees. From these scans, hydrated salts were identified in the streaks, which prove the presence of water. “Our quest on Mars has been to ‘follow the water,’ in our search for life in the universe, and now we have convincing science that validates what we’ve long suspected. This is a significant development, as it appears to confirm that water, albeit briny, is flowing today on the surface of Mars.” said John Grunsfeld, astronaut and associate administrator of NASA’s Science Mission Directorate in Washington. Curiously, for four years the Curiosity rover, which was launched in 2011, has explored Mars but not discovered this evidence. This is due to two reasons, says cnet.com. Firstly, the rover is not physically capable of climbing the steep, streaked slopes. Secondly, as per the United Nations’ 1967 Outer Space Treaty which contains rules related to space exploration, humans cannot interfere with or contaminate other planets. This means that Curiosity is not allowed to get to the streaks due to potential contamination. The million dollar question of whether life exists outside Earth remains unanswered since, though alien water exists, it is believed to be extremely salty, most likely too salty to support life, according to scientists. So as of now we still cannot be sure if we, all 7 billion of us, are alone.